2017 was an extremely busy year for Zorzi Builders and 2018 looks like it will not be any different – in particular we are pleased to announce that we will be showcasing a number of clients’ homes throughout the course of the year, from South Perth, City Beach & Maylands, to Nedlands. The downsizing trend has continued on unabated, with many cases of clients looking to scale down from the large family homes (in a number of instances, homes which we originally built for them) to lock and leave, low maintenance homes and in particular there has been a very strong surge of demand for single storey homes, whether on large ¼ acre type blocks or smaller cottage blocks. Our recently showcased home “The Pacchetto” in Subiaco (now closed) showed what is possible to achieve on a sub-400 square metre site – featuring a 3 car garage, self-contained apartment accommodation, and a large open plan design with high ceilings and overflowing with natural light and entertaining space. Our home “The Orana” at 27 Birrigon Loop, Swanbourne is also proving extremely popular and has resulted in replications of this home being built for clients – something that we have only done on a rare few occasions in our 60 plus years, which goes to show how well this home has hit the mark in both design and quality of construction. On the note of single storey homes, Zorzi’s next upcoming home open for viewing will be a single storey homes in Nedlands we have just completed – for details of this home, please contact James Zorzi on 0408 092 730 or keep an eye out on our website www.zorzibuilders.com.au. This home will only be open for viewing for a very limited time so be sure to come and see it for yourself. Gordon Davies has, as of 1st January 2018, gone back on his own. The partnership of Anderson Davies has been dissolved. The main reason for this is that I find having to have long meetings with Partners to decide on courses of action on things such as marketing, finances, budgeting, promotion signage, sponsorship, etc, and trying to reach agreement tests my patience. I believe I should be using my time to find solutions for my sellers and buyers. I hope I can get back to that ASAP. 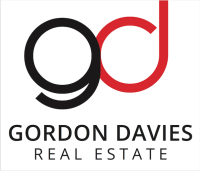 I have made many mistakes over my 55 years in Real Estate and hopefully I have learnt enough from them to be of some help to clients in the myriad of problems that arise. If not, I usually know who to recommend them to for advice. 1. The worship of, and awarding of prizes to, agents who sell the most properties, as if they are the best, is fallacious. They are usually the agents who talk the sellers into taking the lowest price in the shortest period of time without finding the buyer for whom your home is best suited. a) Most of the sold databases have several glaring mistakes in even the simplest of facts, eg, area of house. b) Computer programmes do the comparisons, so a bare minimum of information. i) Relative value of the land based on orientation, aspect, slope, frontage, size, neighbourhood, vegetation, noise, etc. ii) The infinite variations in houses regarding design, relationship of rooms, practicability, spaciousness, aesthetic appeal, to name a few. iii) Current needs of buyers (often changing). 3. If the only skill an agent has is negotiating, is to tell you to accept the first offer because the market is getting worse (they have little skill). I don’t claim to be able to do all of this well, but I, and a number of other agents, try to negotiate the best fair price. 4. Don’t believe all the persona - recommendations, as most are written by the agents and few, if any, have the name and address of the sold property. Hollywood Private Hospital is a modern, acute care hospital in Nedlands and enjoys a strong reputation for excellence in patient care. With 738 licensed beds, Hollywood is the State’s largest private hospital based on bed numbers. As part of Ramsay Health Care, Australia’s largest private hospital operator, we embrace the Ramsay philosophy of ‘People caring for people’ to provide outstanding care and services to our patients. This was formally recognised when we received the award for Customer Service Excellence at the 2017 AIM WA WestBusiness Pinnacle Awards. DB&B Electrical is your go-to electrician!! The company has been in operation since 1999 and has established itself throughout the Perth metro region, with an emphasis on the western suburbs. It currently employs 3 apprentices and 2 tradesmen, headed up by the owner of the business, Damian Drake-Brockman. DB&B Electrical provides a professional service across a wide range of electrical work within the domestic, commercial and industrial sectors. Domestic work includes anything from adding a power socket through to providing all electrical work in a new build. The installation and repair of air conditioning units through to repairing commercial refrigeration; DB&B Electrical has the experience to do it all. Commercial and industrial clients are well catered for, from new installations through to repairs and additional works. Network/data and TV service is an important area for DB&B Electrical given the ever-changing requirements in today's market, along with CCTV installation, repair and maintenance, whether it be for domestic, commercial or industrial clientele. Members of the DB&B Electrical team go out of their way to ensure they understand their clients' needs and expectations. Each job is carefully scoped in order to ensure the correct advice is given. Ultimately, DB&B Electrical strive to meet the needs of all of its clients; regardless of whether the client has used them once or a hundred times before. The company thrives on word-of-mouth recommendations, with numerous clients having used the company for more than 10 years. It is this client value that has seen DB&B Electrical go from strength to strength. Why not consider DB&B Electrical for your electrical needs? No job is too big or too small. Don’t forget to make use of the 10% discount on labour available to all members of Nedlands Tennis Club; some members have already!